Home flambé is safe, don’t worry, but only if you are not French and you do not exceed with the amount of alcohol you use. 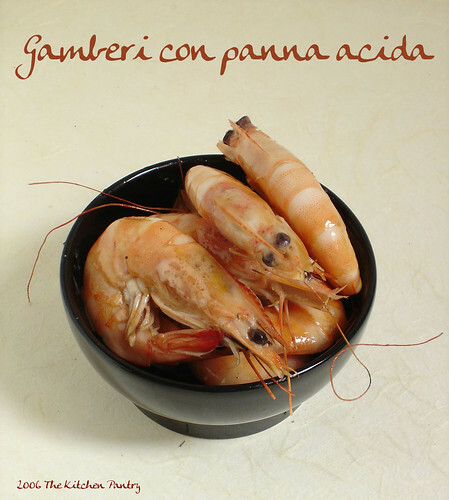 In a hot frying pan cook the prawns until they turn pink. Add enough Armagnac to cover the bottom of the pan. Lover the pan towards the fire and let the Armagnac burn. When the flames are gone add the sour cream and let it heat trough. Serve it hot and eat it with your fingers, licking them thoroughly!